Putnam County Playhouse: Putnam County Playhouse Receives Grant! 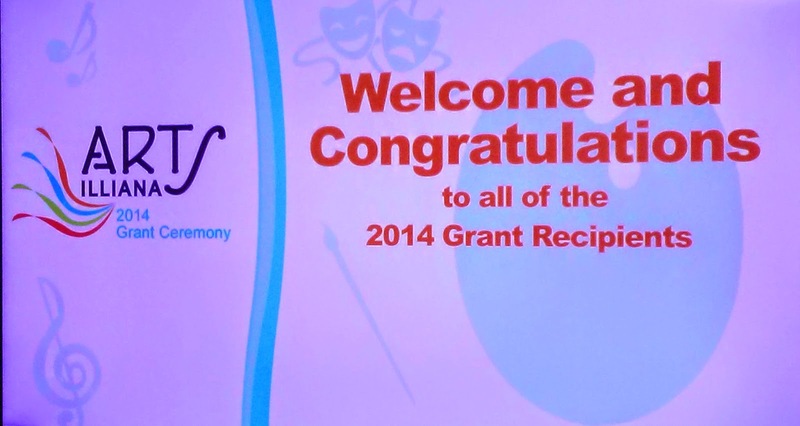 Putnam County Playhouse Receives Grant! Putnam County Playhouse was recently awarded a grant from Arts Illiana and the Indiana Arts Council. It was presented during a ceremony in Terre Haute on October 17. PCPH Board President Michael McClaine and his wife Brenda attended the event to represent us. 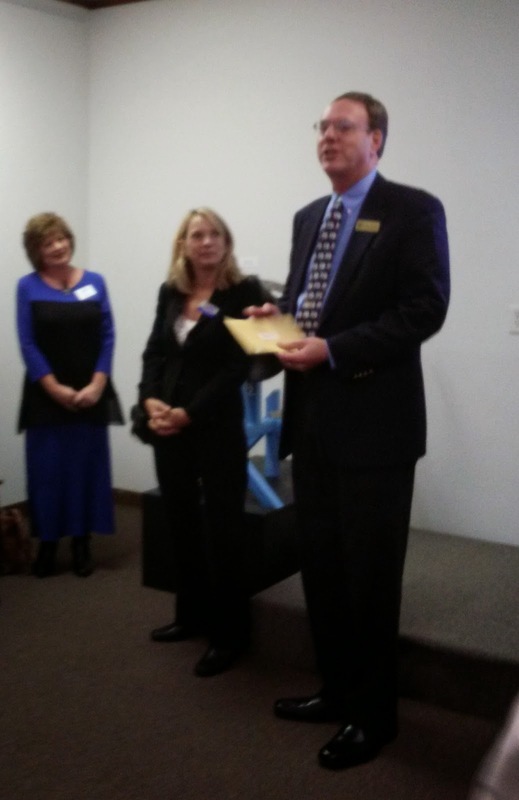 Michael accepted the check and spoke to the group about Putnam County Playhouse. 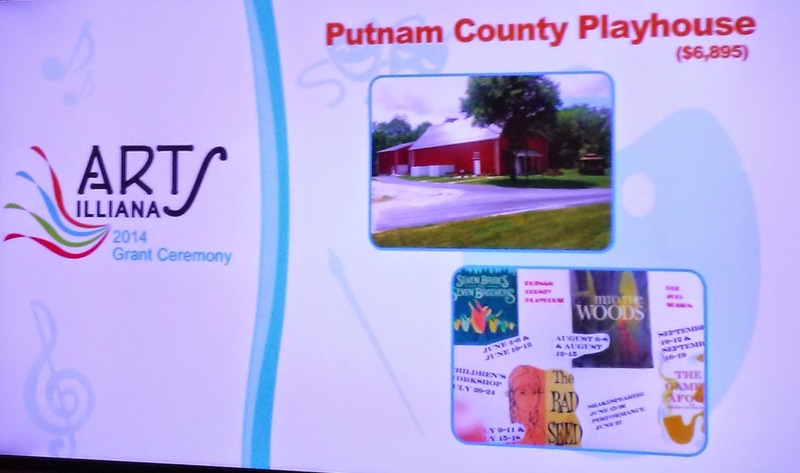 A slide show of all the recipients included information about Putnam County Playhouse. Congratulations to everyone on a job well done this season. A special tip of the hat to Drew Brattain, chairperson of our Grants Committee who works hard to make these things happen. Come Along on the Chamber Tour! Fall Clean Up for the Barn!